Born and raised in the streets of St. Louis City, Rufus was eager to make a name for himself. He was tough as nails, had all the street cred a “good boy” could ask for, a heart of gold, a little dogmatic but only to a degree. It was a long, cold winter when he found himself barking up the wrong tree. Times were ruff, so he was scrapping for food when a gang of critters came out of nowhere and fought tooth and nail, taking every last bit of his chow, chew bones and even his home, which he built with his bare paws. Lost, lonely, hungry and scared, he found his way to the Open Door Animal Sanctuary. He swore he’d never check himself in, but feeling defeated, it was his only hope of survival. It’s a dog eat dog world out there. Week after week he watched as all the small yappers were adopted, wondering if and when he’d ever get placed in a loving home. Until one day, a young man named Dustin walked in and straight to Rufus. It was love at first smell. Day after day, year after year, the two became inseparable. 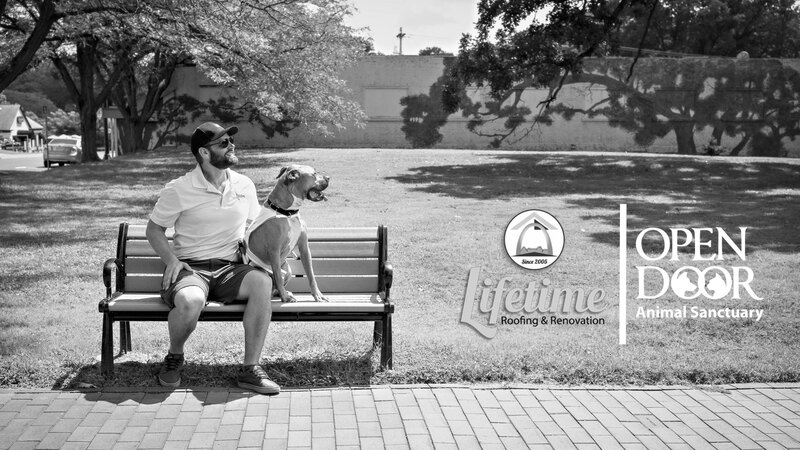 Dustin taught this old dog new tricks, including but not limited to; roofing and exterior work, networking, social media, leadership and how to be the best dog gone success story you’ll ever hear in the industry. It didn’t take long before the folks of St. Louis caught a wiff of his contagious friendliness and hard work. Before we knew it, everyone wanted a new roof from Rufus. One thing’s for sure, no matter how famous or how busy he is, he always makes time for what matters the most: his companions, co-workers, customers, grubs, tugs and belly rubs. When it comes to Rufus, you’ll never get the short end of the stick. 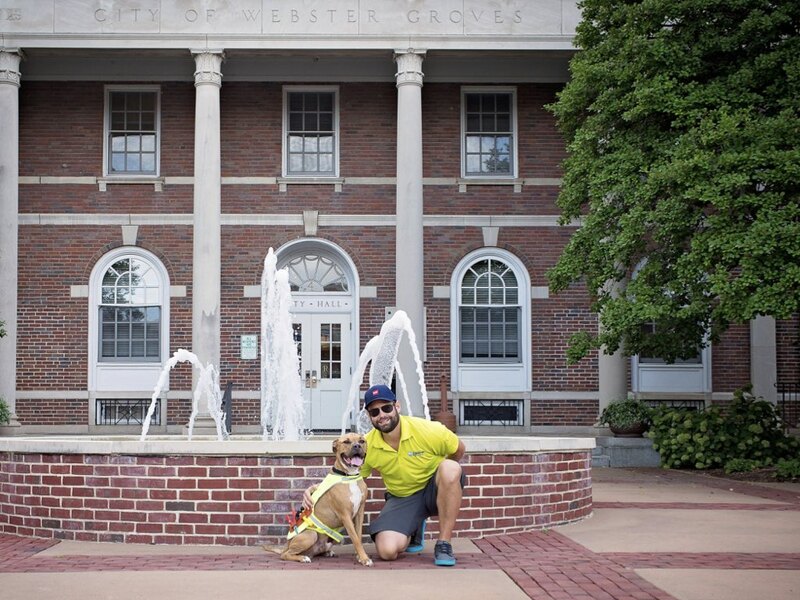 While we may have taken some liberties with the details of the story, the one thing that is 100% true is Rufus’ connection with Open Door Animal Sanctuary and our desire to continue to help rescue animals find happy healthy homes.